The European Congress on Epileptology has all the ingredients of a landmark event in the epilepsy calendar. The programme will cover cutting-edge research in the field of epilepsy through presentations from the leaders in the field, including lectures by world-renowned scientists on topics at the interfaces of epilepsy. 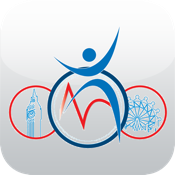 The congress takes place in London, from 30th September to 4th October, 2012. Find your way around the extensive programme and get the useful information on the congress on your mobile device with this ECE2012 app. Once you have downloaded the requested content it can also be used offline (except some information which requests updates). If you do not want to miss a specific session just add it to your mobile device‘s calendar, a feature also available in this app.